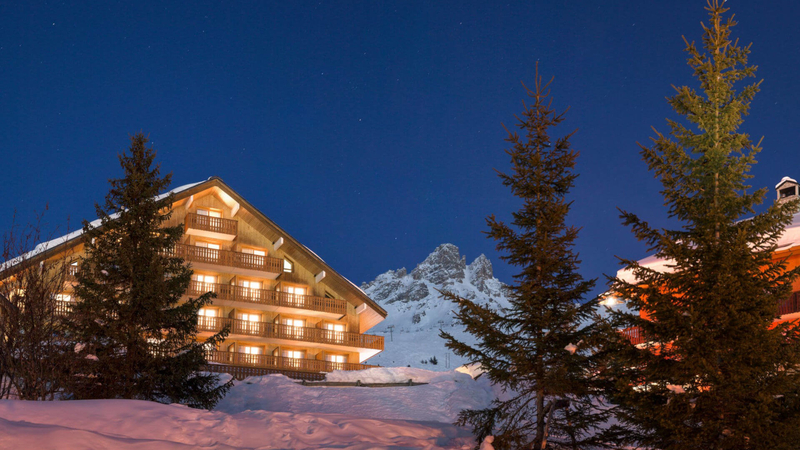 Perched on the mountains of Meribel, the Hotel Allodis**** & Spa des Neiges by Clarins is in an ideal spot for skiing in and skiing out in an exceptional setting. 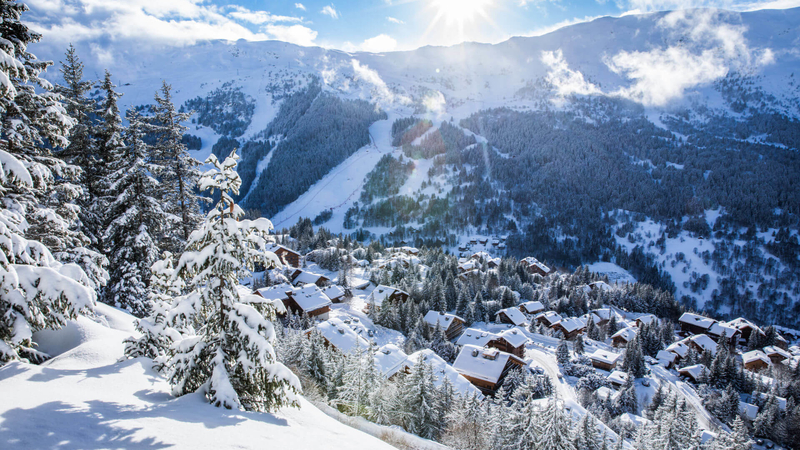 Perched on the mountains of Meribel, the Hotel Allodis 4* & Spa des Neiges by Clarins is in an ideal spot for skiing in and skiing out in an exceptional setting. A truly peaceful place for the avid skier. 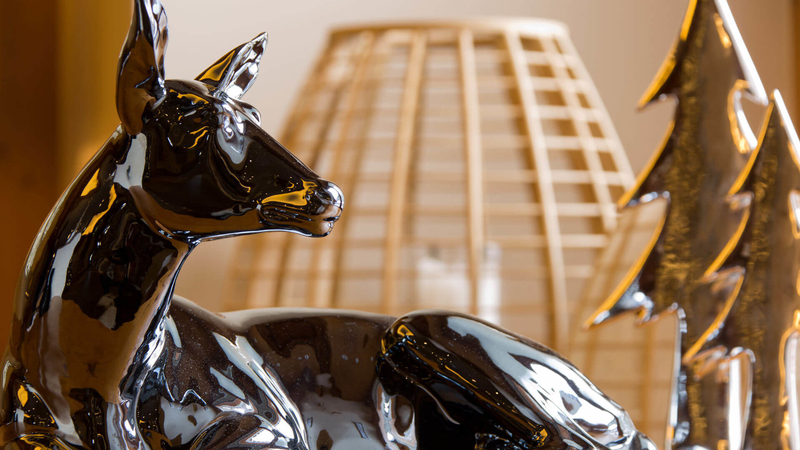 Come and experience for yourself an unforgettable stay in a cosy and elegantly decorated hotel. From the minute you arrive at the hotel, make yourselves at home in our warm and friendly atmosphere. We are here to make every moment of your stay perfect and offer you a customised service, with that special touch to make your holiday a successful one in every way. 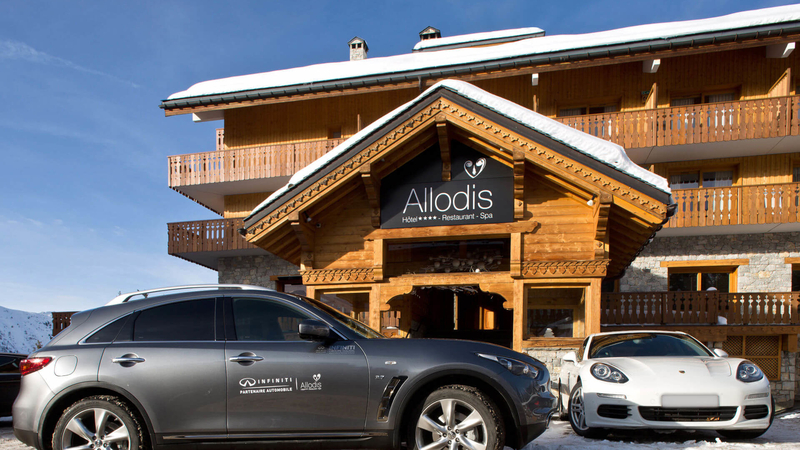 Welcome to the Hotel Allodis 4* & Spa des Neiges by Clarins ! 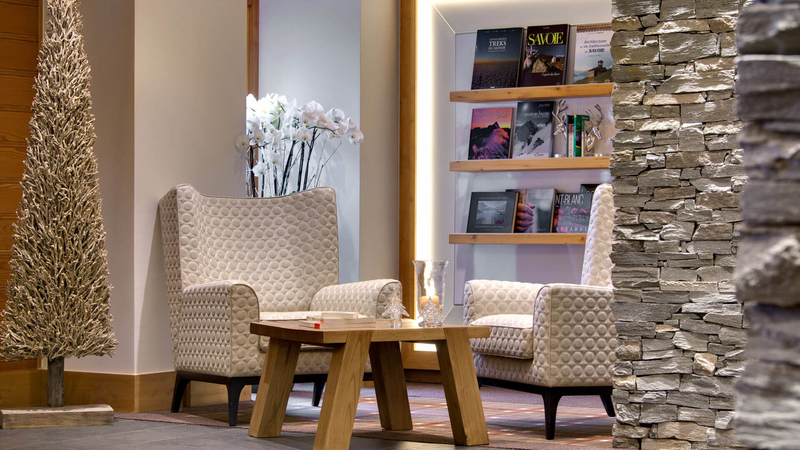 Located on the snowy ski slopes of one of the largest ski resorts in the world, discover the warm welcome and refined atmosphere of our hotel. From the moment you arrive, the elegant and snug decoration, the perfect match between modernity and cocooning, will plunge you into a serene climate for the rest of your stay. Françoise and Yves FORNI do their upmost to make new changes every year to the hotel in order to offer you the ideal setting for a perfect holiday. With its 42 cosy bedrooms , including 12 elegant suites, the Hotel Allodis invites you to take a break from your daily life and relax. It’s more than a hotel, it’s just like being at home !! Imagine yourself relaxing by the fireside on a comfy sofa in our lounge, having your lunch on our panoramic terrace whilst enjoying the spectacular view, a moment of well being in our Spa des Neiges by Clarins, or even treat your taste buds to one of our chefs’ amazing dishes. No time to wait, come and pull back the curtains and see what surprises the Hotel Allodis has to show to you. From the moment you make your reservation until the last day of your stay you’ll receive a warm welcome and we’ll help you make your holiday a magical one. You need something or fancy something special ? We are here to find it for you !! Discreet and professional, our friendly staff will do their very best to meet your expectations. So, now all you have to do is sit back and make the most of this magical setting for an unforgettable holiday. 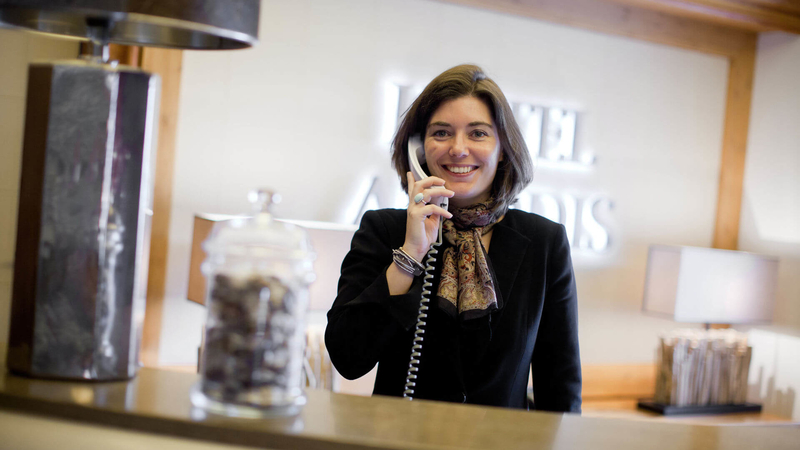 The Hotel Allodis, is above all the adventure of a family with a passion for the mountains. 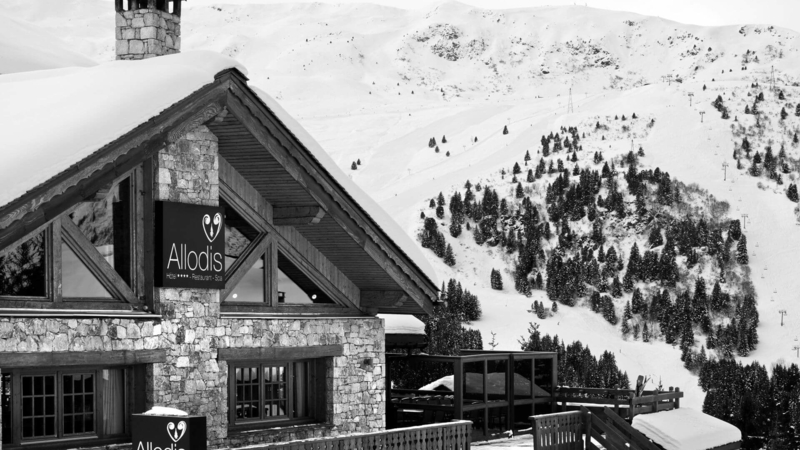 Natives of Meribel, ski lovers and large open spaces, Françoise and Yves FORNI opened their Hotel , L’Allodis in 1988. As the years have gone by they have managed to create a chic and cosy style without losing the family atmosphere which is very important to them. 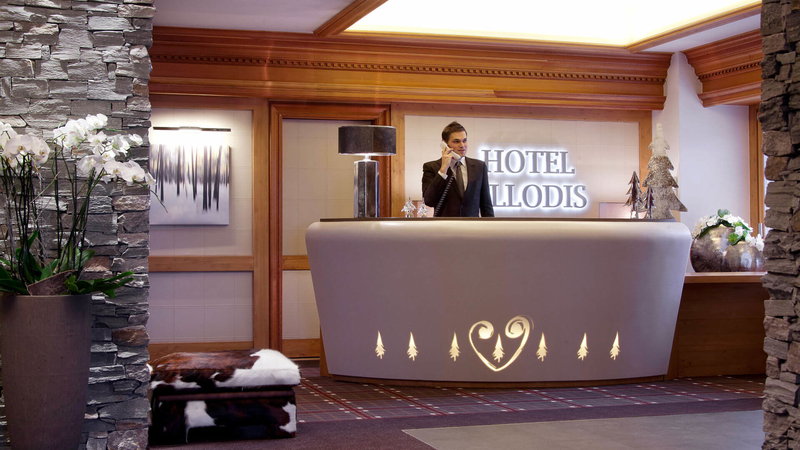 More than a hotel, the Allodis is one big family. From the staff to the clients, a special relationship has been installed over the time. 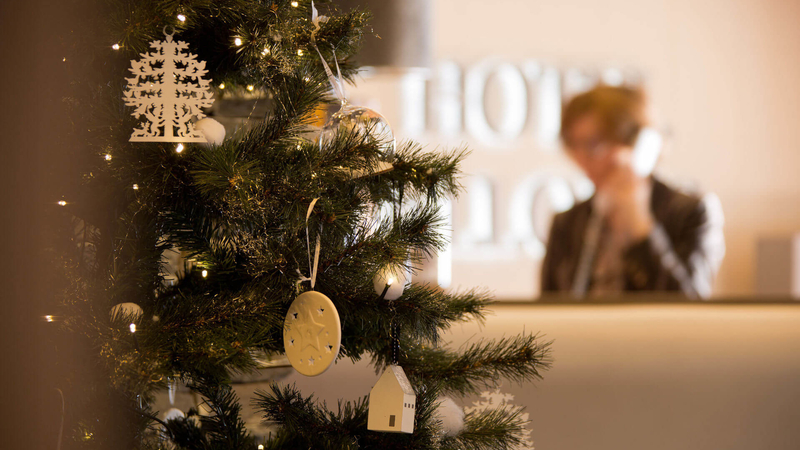 Year after year, its with the same energy, the same desire and the same pleasure that we welcome you back to the hotel. Our regular clients appreciate finding the same staff at the start of each new season, a staff that know how to look after them and the personalised service they are used to. The warm elegance the minute you walk into the hotel and the incredible panoramic views around it make the Hotel Allodis an exceptional place, but it’s the friendly family atmosphere that makes its character. As we have already said, at the Hotel Allodis, it’s like being at home. When you arrive in Meribel, it’s difficult to ignore the sporting legacy that surrounds you in the station and by its inhabitants. More than just a sport, it’s a true passion that the Forni family share with you each day in the hotel. The amazing views of the 3 valleys ski domaine, endless snow covered slopes to take your breath away. 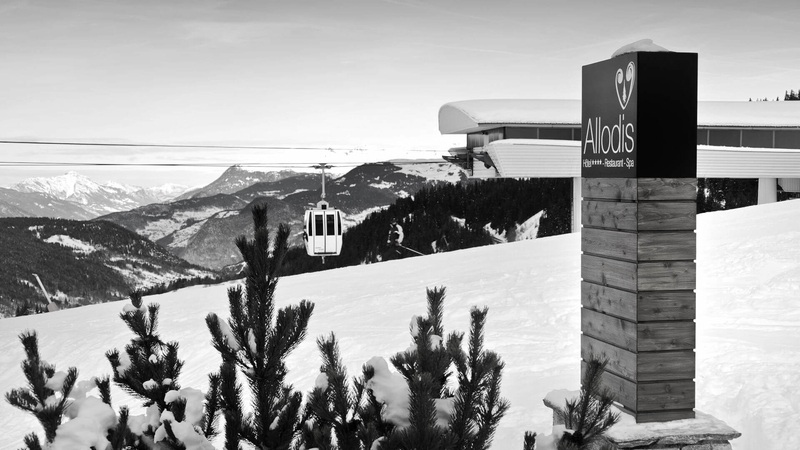 When visiting Meribel, this magical setting makes a stay at the Hotel Allodis a ‘must’ for all passionate ski lovers. The mountain, the sport and especially the ski are all part of your daily life at the hotel. Imagine opening the curtains in your bedroom and looking out onto a snow covered valley before going down to the ski shop in the hotel to put on your skis, and then stepping outside straight onto the slopes. Only a couple of steps from your bedroom separate you from the pleasures of skiing ! Always here to look after you, we’ve already reserved your ski passes, now you just need to make the most of your stay.